You might not think these symptoms have to do with your period, but they probably do. If you are a person who menstruates, you probably have experienced one or more of the following on a monthly basis: mood swings, bloating, fatigue, cramps, and food cravings, to name a few. But for some, there are also things that happen before or during your period that seem odd. For me, that includes clumsiness, specifically dropping things for no reason, and at least one day when my concentration is razor sharp and I’m super productive. 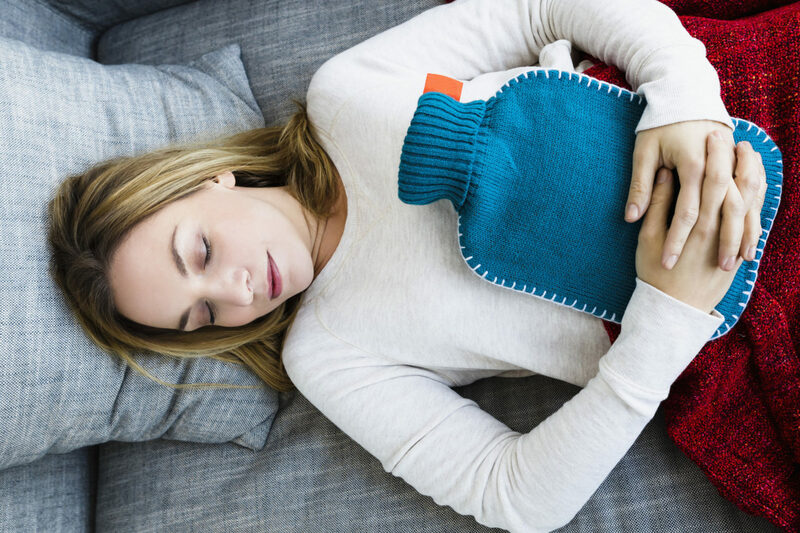 Of course, if the symptoms of PMS are severe, it can indicate premenstrual dysphoric disorder, but what could the explanation be for behaviors that feel totally ancillary to menstruation? Here are four symptoms menstruating people report, and why they happen. While some of us can’t stop pooping during our periods, other folks report the exact opposite problem. The culprit in both of these situations is prostaglandins, hormone like substances that cause contractions in muscles that are otherwise smooth. If you don’t have enough of them, as is often the case before your period, you’ll get constipated (too much, and it’s the exact opposite result). Stephanie Dunne, a Registered Dietitian and Integrative & Functional Nutrition Certified Practitioner in private practice in New York City, recommends getting enough water and fiber before your period to reduce the severity and likelihood of this. If you’ve ever been seized with the urge to clean and organize your life (and maybe other people’s) before your period, you’re not alone. Nicole Harlow, founder of the Center for Menstrual + Sexual Health, reports noticing this desire in both herself and her clients. “I like to think of this as as the same biological ‘nesting urge’ that many pregnant women get in those last few days or week before they give birth,” said Harlow. 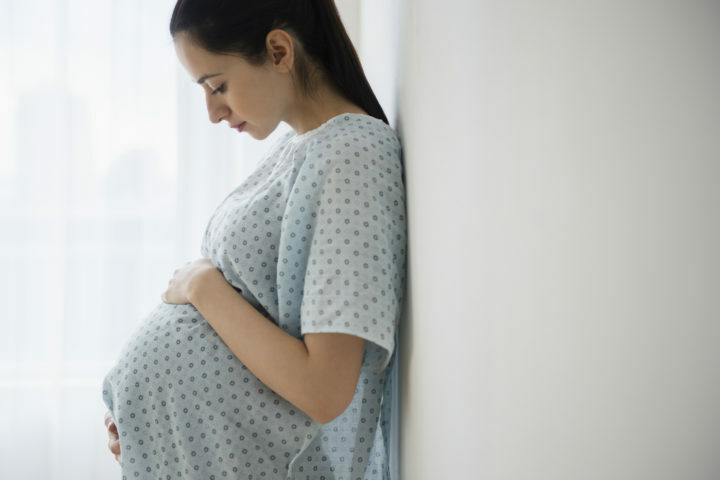 “I think that this urge comes from our body’s desire to create a sanctuary and safe space for us to relax into once we’ve started to bleed.” Some scientific research about nesting has been done, mostly in regard to the psychology of pregnant people. Harlow: “What makes this kind of cleaning and organizing unique to this time of the month is there always seems to be a somewhat obsessive quality to it because it’s typically combined with the energetic signature of PMS.” That energy, along with the feeling that all of our emotions are askew, is caused by an imbalance in the progesterone to estrogen ratio. Are you sneezing a lot around a certain time of the month, yet not actually allergic to anything? It could be your period. One of the many things estrogen does is cause the immune system to make more histamines, but also inhibit the enzyme that breaks them down, which means when your estrogen levels are fluctuating, you have more histamines in your body, and you’re probably experiencing itchy eyes, headaches, and sneezing. Instead of reaching for the antihistamines, Dunne suggests avoiding fermented foods, such as vinegar, aged cheeses, wine, and kombucha, and making sure you get enough vitamin B6, which is part of the enzyme that breaks down histamines. You can find vitamin B6 in sunflower seeds, pistachios, chicken breast, and chickpeas. As weird as it may seem, there is a connection between falling down and dropping things and your impending period. A 2007 study at London’s Portland Hospital found that midway through your menstrual cycle, levels of the hormone estrogen drop, which results in sudden weakness, and making you more likely to trip or injure your back. Another theory is that high estrogen levels interfere with the hormones that impact the fluid retention in your brain, which upsets your balance. Hormonal birth control can help alleviate this, but if you’re not into that, try eating foods that boost your estrogen levels, like broccoli, dried fruit, and beans, as well as getting more sleep.